OUTLAND BLUES: Visions from Alabama’s Peculiar Highway. 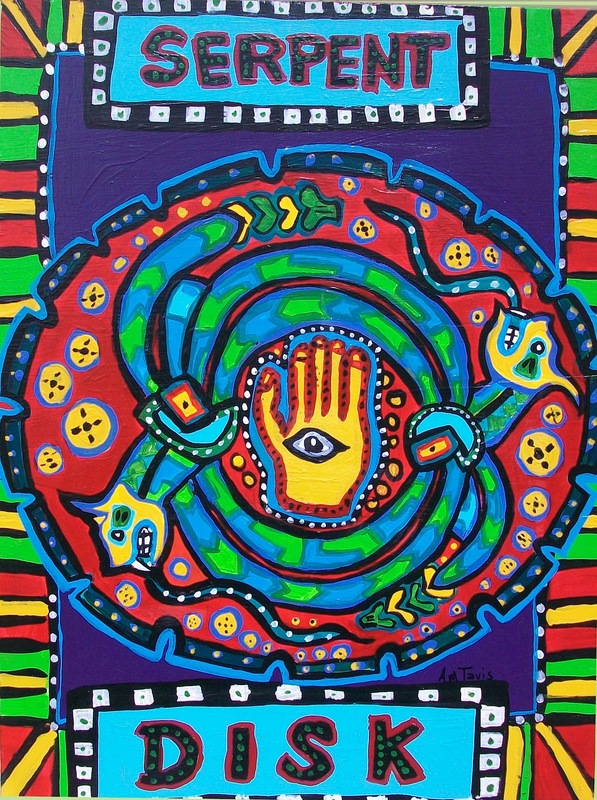 Please join us on the evening of Friday, May 4th at Grace Aberdean Habitat Alchemy in Tuscaloosa for the premier of the latest works by outsider artist Anthony Tavis. You may have seen Anthony’s vibrant and colorful art at the recent Druid City Arts Festival in downtown Tuscaloosa and the Montevallo Arts Festival. His latest series includes a variety of new characters, old legends, ancient artifacts, highway signs and roadside varmints. This show is a must see for West Alabamians in particular due to its regionally specific subject matter. Hope to see y’all there!